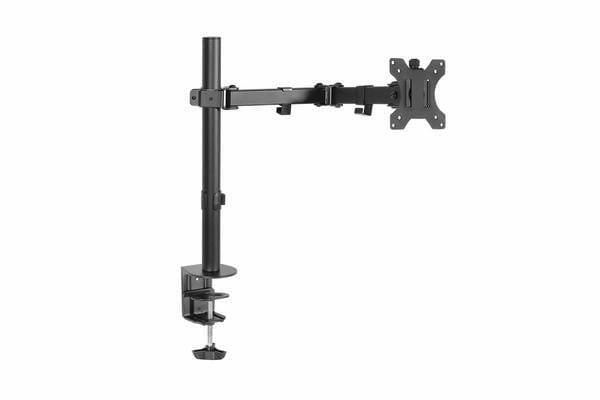 Add some extended mobility to your monitor with our Artiss Fully Adjustable Single Monitor Arm. With it, you can extend it up to 43cm to set your preferred viewing position and retract it with ease. Height adjustments can be easily done by twisting the height adjustment screw. It also allows you to swivel your monitor 180, rotate it 360 or tilt it up to 45 and set in either landscape or portrait format. 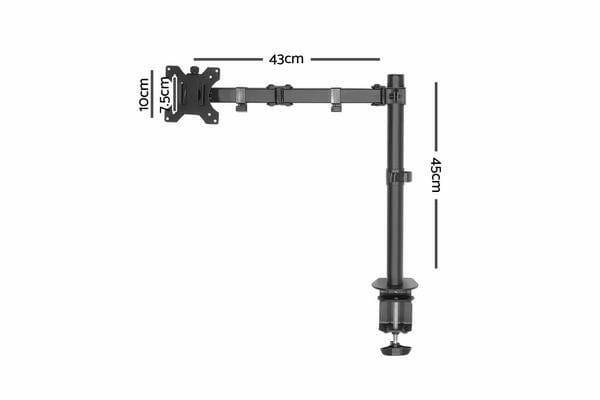 Using the detachable VESA mount, you can mount any monitor size of up to 32with a maximum weight capacity of 8kg. Other great features include alternative setups, cable loops for neat and tidy cabling and a tools holder for allen keys. 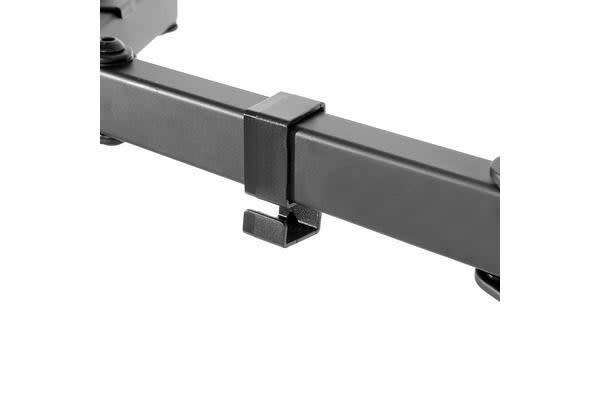 Not least, made from heavy-duty steel, the monitor arm is designed to stand up to longlasting use without missing a beat. All the necessary mounting hardware and an assembly manual are included in the package for a hassle-free set up.